In the second article in our "getting started with Git" series, learn how to perform basic Git operations. In the first article in this series on getting started with Git, we created a simple Git repo and added a file to it by connecting it with our computer. 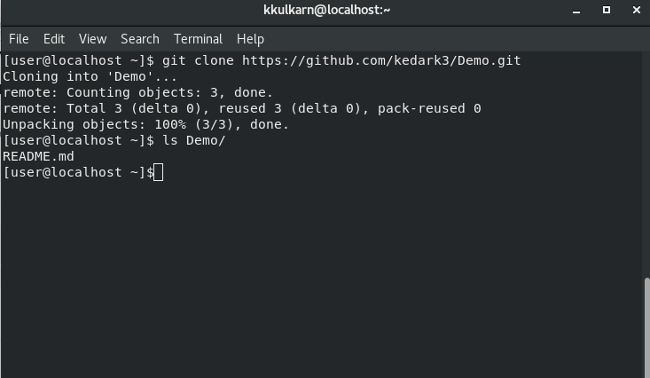 In this article, we will learn a handful of other things about Git, namely how to clone (download), modify, add, and delete files in a Git repo. because we haven't learned it yet. The next line says: Changes not staged for commit; this is telling you that the files listed below it aren't marked ready ("staged") to be committed. 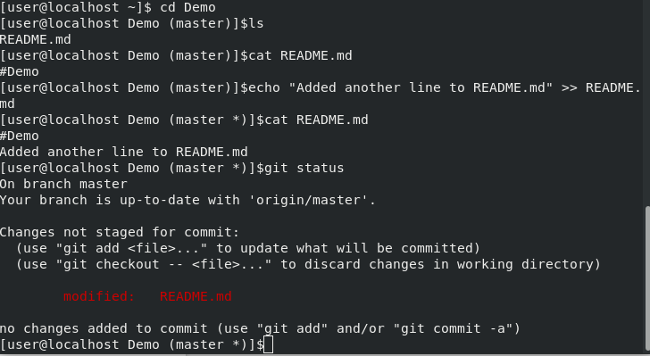 If you run git add, Git takes those files and marks them as Ready for commit; in other (Git) words, Changes staged for commit. Before we do that, let's check what we are adding to Git with the git diff command, then run git add. 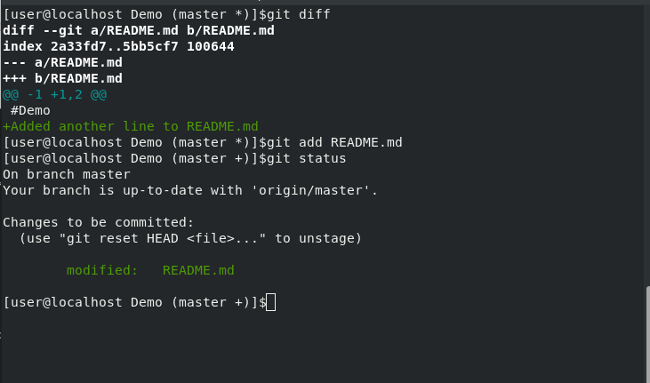 diff --git a/README.md b/README.md is what Git is comparing (i.e., README.md in this example). --- a/README.md would show anything removed from the file. +++ b/README.md would show anything added to your file. Anything added to the file is printed in green text with a + at the beginning of the line. If we had removed anything, it would be printed in red text with a - sign at the beginning. Git status now says Changes to be committed: and lists the filename (i.e., README.md) and what happened to that file (i.e., it has been modified and is ready to be committed). 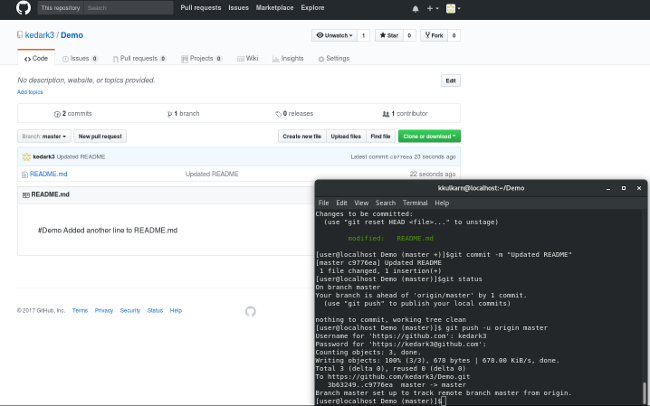 We have modified the README.md file with some new content and it's time to upload it to GitHub. This tells Git that you are "committing" to changes that you have "added" to it. You may recall from the first part of this series that it's important to add a message to explain what you did in your commit so you know its purpose when you look back at your Git log later. (We will look more at this topic in the next article.) Updated Readme file is the message for this commit—if you don't think this is the most logical way to explain what you did, feel free to write your commit message differently. Run git push -u origin master. This will prompt you for your username and password, then upload the file to your GitHub repo. 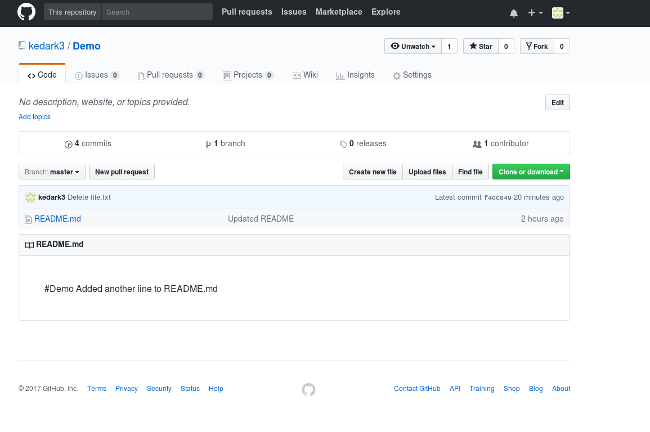 Refresh your GitHub page, and you should see the changes you just made to README.md. This will create a new file named file.txt. Git reports that you have an untracked file (named file.txt) in your repository. This is Git's way of telling you that there is a new file in the repo directory on your computer that you haven't told Git about, and Git is not tracking that file for any changes you make. Git status is telling you there are changes to file.txt to be committed, and that it is a new file to Git, which it was not aware of before this. 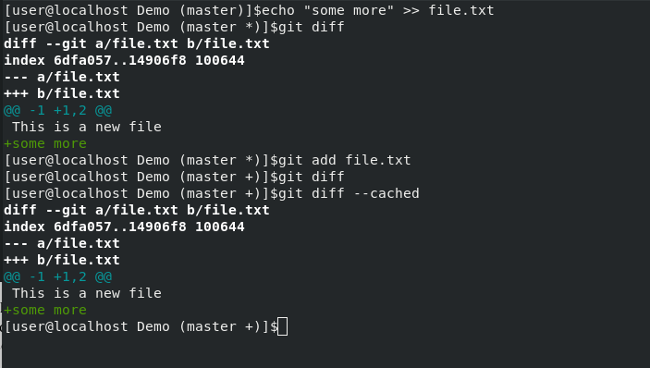 Now that we have added file.txt to Git, we can commit the changes and push it to origin/master. Git has now uploaded this new file to GitHub; if you refresh your GitHub page, you should see the new file, file.txt, in your Git repo on GitHub. 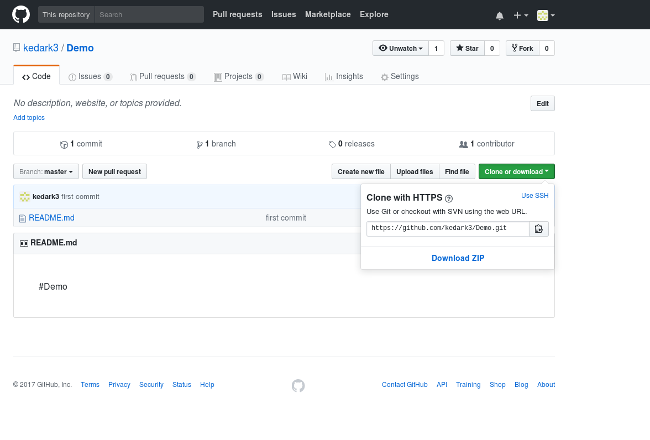 With these steps, you can create as many files as you like, add them to Git, and commit and push them up to GitHub. I know we are deleting the file, but we still run git add because we need to tell Git about the change we are making. 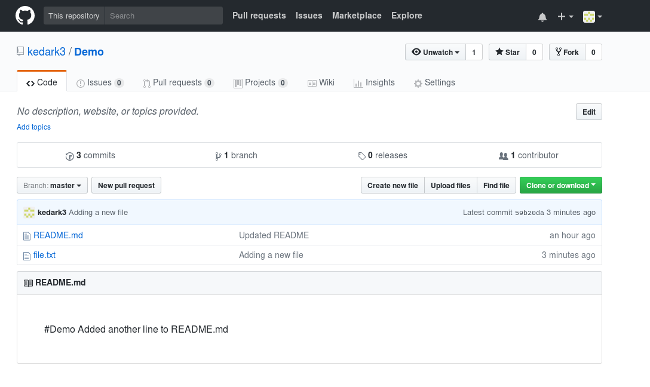 git add can be used when we are adding a new file to Git, modifying contents of an existing file and adding it to Git, or deleting a file from a Git repo. 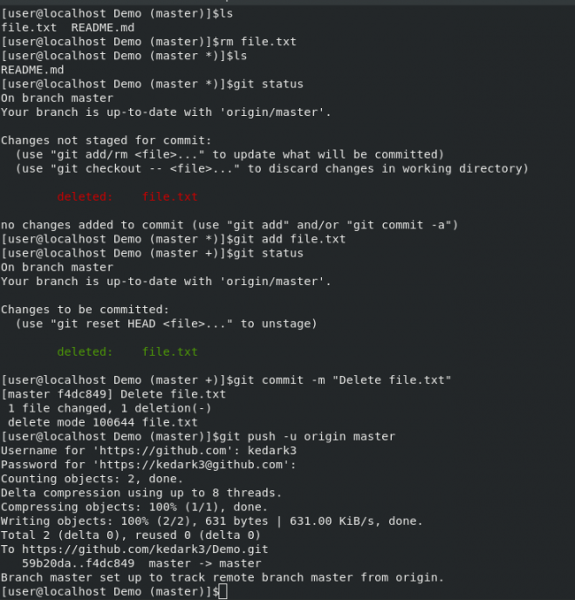 Effectively, git add takes all the changes into account and stages those changes for commit. If in doubt, carefully look at output of each command in the terminal screenshot below. Now you know how to clone, add, modify, and delete Git files from your repo. The next article in this series will examine Git branching. Nice tutorial, except that the uncolored terminal output takes a lot of extra focus. At least have a colored prompt.